HomeEntertainmentShankar in upset with Aamir ? 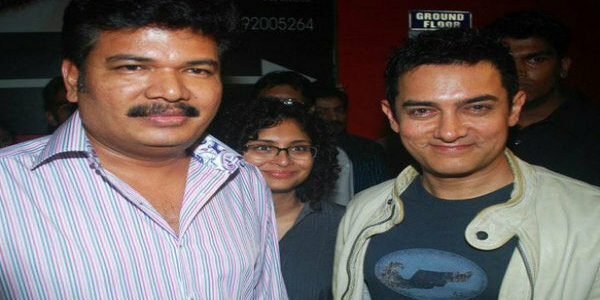 Shankar in upset with Aamir ? After much speculations about Aamir Khan making his Tamil debut through Shankar’s Enthiran 2, the PK actor himself has cleared the air by saying that he will not be able to star in Enthiran 2. 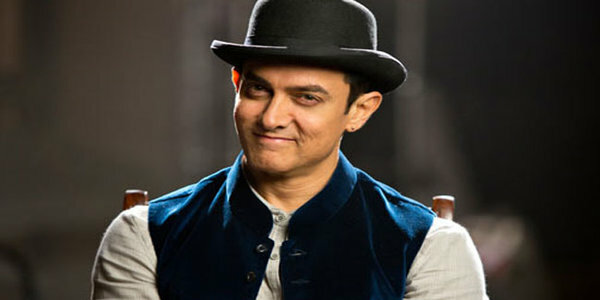 Since Aamir is already commited to a Hindi film, he will not feature in the Tamil film, according to the actor. This piece of information now confirms that Shankar had indeed approached the Hindi Superstar to be a part of Enthiran 2. It is still not clear if the Enthiran director had intended to rope both Rajinikanth and Aamir Khan in the same film. With Aamir backing out of the Enthiran sequel, it will be interesting to see who Shankar approaches next to fill in his shoes in the film. Sources close to Shankar have also revealed that the project will go on floors this year. Earlier there were also speculations about whom Shankar will rope in as the leading lady in Enthiran 2. With some sources mentioning Katrina Kaif’s name as the possible heroine, others said Aishwarya Rai might be roped in for the sequel as well. Though official confirmation about the project from Shankar has been awaited from a very long time, the I director is in no mood to spill the beans at the moment. Enthiran was allegedly referred as India’s first science fiction movie and went on to become a huge box office success. With anticipation about the sequel reaching sky high, fans are eagerly waiting to hear some official news straight from Shankar. Aamir Khan wishes to become MP like sachin?